The groom's parents pay for his attire and boutonniere. 3 What Is the Godparents' Responsibility at Their Goddaughter's Wedding? 4 Bridal Bouquet Etiquette: Who Pays? As couples marry later in life and wedding traditions adapt to modern times, the bride and groom and their families may split the wedding costs many different ways. However, a set of guidelines still exists for who pays for what in a wedding. The bride's parents foot most of the bill, but the groom's parents also have a number of financial responsibilities, according to etiquette experts Emily Post and USBridalGuide.com. The groom purchases his bride’s engagement ring and her wedding band. If the groom gives his new wife a wedding gift, he or his family pays for this present. The groom’s parents are traditionally financially responsible for the honeymoon, although in modern times it is common for the groom’s family to give a monetary contribution towards the honeymoon as the couple’s wedding gift, but this amount does not have to cover the entire trip. The groom or his parents purchase the marriage license before the wedding and pay the officiant’s fee or requested donation. If a blood test and medical exam are required to obtain the state marriage license, the groom’s parents also pay for these medical costs. 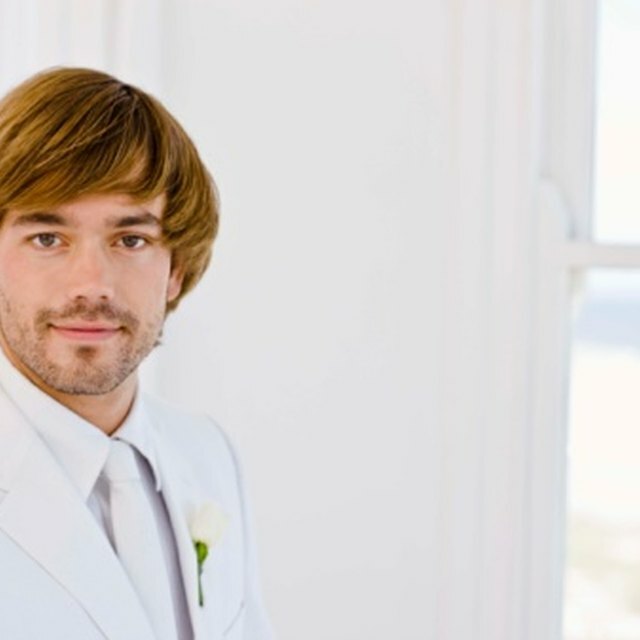 The groom’s parents pay for his tuxedo and shoes, as well as any accessories the groomsmen will wear that are not included in the standard tux rental such as white gloves and ties. The groom’s family also pays for their own attire. Additionally, the groom’s parents pay for the groom's and groomsmen's boutonnieres, corsages for immediate family, and in some regions, the bride’s bouquet and going-away corsage. The groom’s parents traditionally pay for the rehearsal dinner. This dinner takes place after the wedding rehearsal and includes the entire wedding party, immediate relatives and in some regions or cultures, out-of-town guests and any person involved in the ceremony including the musicians, officiant and guest book attendant. The rehearsal dinner is generally held at a restaurant, but parents wishing to save money may host the dinner in their own home. If the groom’s parents live out of town or are traveling to a destination wedding, they generally pay for their own lodging. The groom’s parents may be expected to pay for their out-of-town relatives and the officiant, if he is traveling and is an invited guest of the groom’s family, says Emily Post. If the groom and groomsmen arrive at the wedding ceremony by limo or rented car, etiquette states the groom’s parents shoulder this cost. Who Could Walk Me Down the Aisle Since My Father Died? How Much Does It Cost to Rent a Tux for a Wedding? What Is a Bride's Proxy?